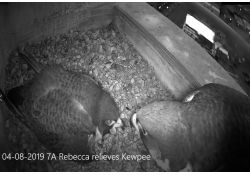 03-29-2019 Rebecca and Kewpee have 4 eggs! 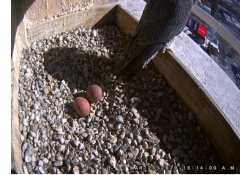 03-28-2019 The third egg arrives! 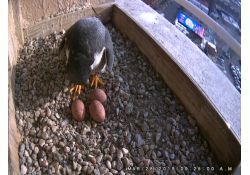 The third egg arrived in the early morning on 03-28-2019! 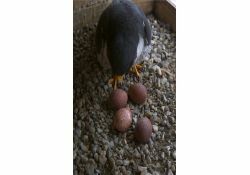 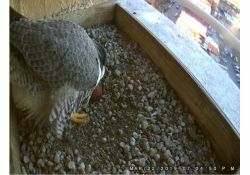 The second egg arrived early in the morning on 3-24. 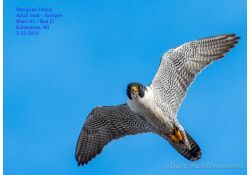 The days are getting longer and some days are even sunny! 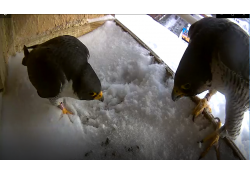 Rebecca and Kewpee have weathered our crazy winter weather again this year. 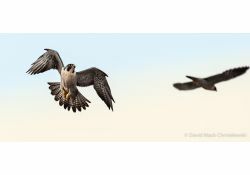 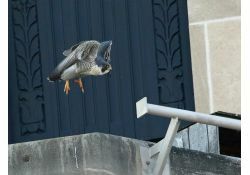 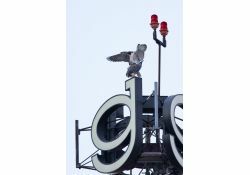 At the end of the active breeding and family rearing season, long after the young falcons have left for their own adventures, the area around the nest box needs a good housekeeping visit.